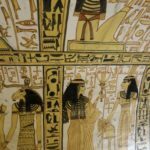 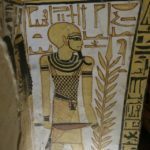 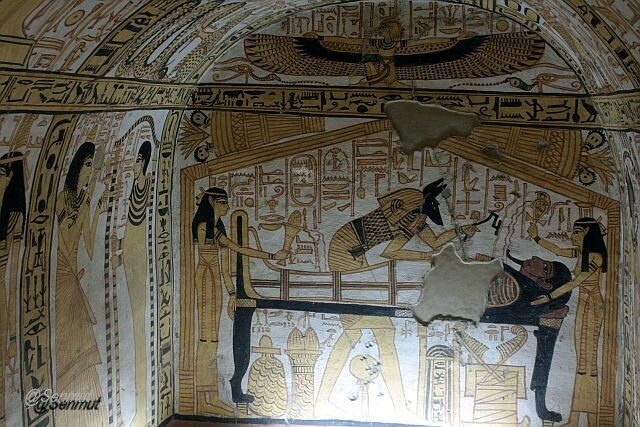 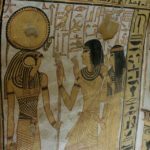 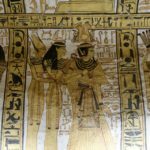 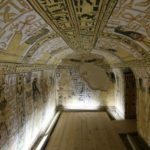 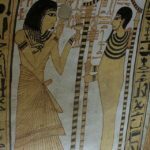 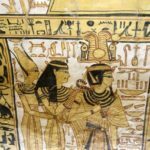 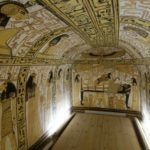 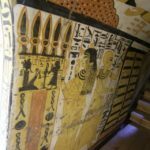 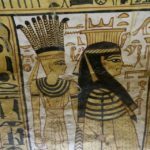 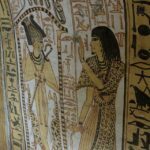 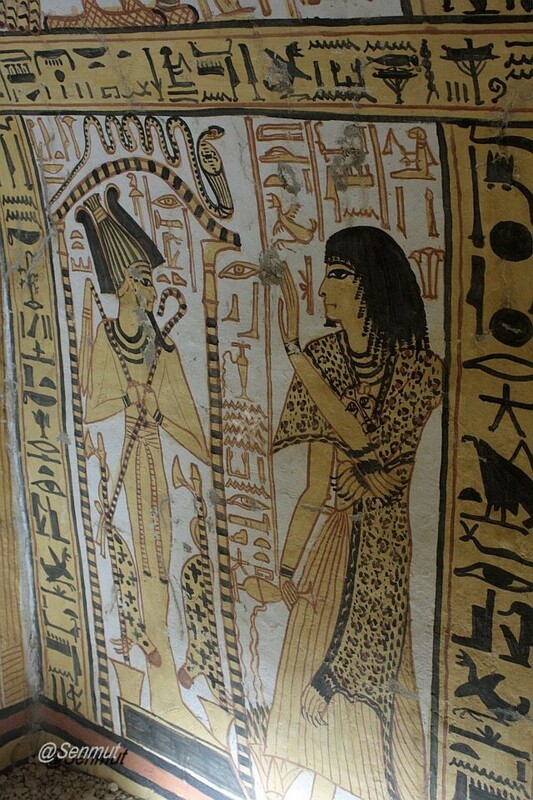 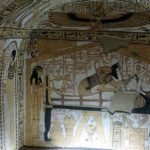 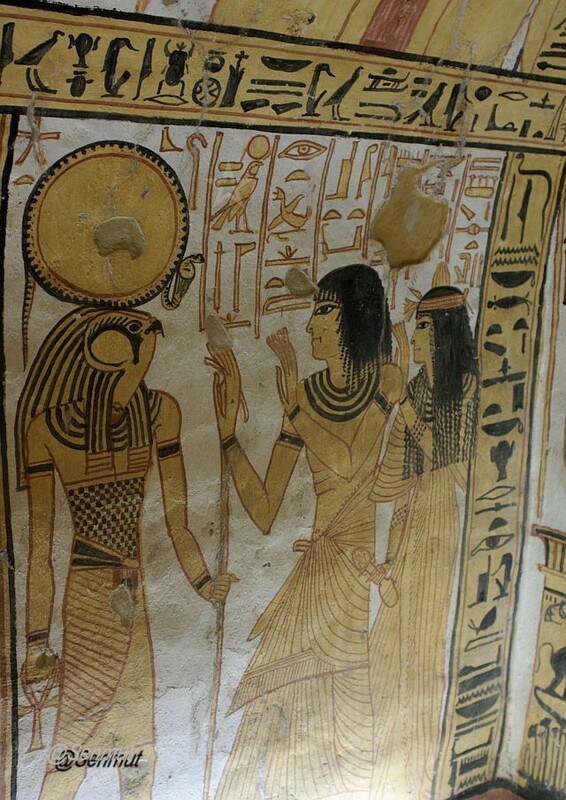 The Ministry of Antiquities opened several new tombs in Deir el Medina. 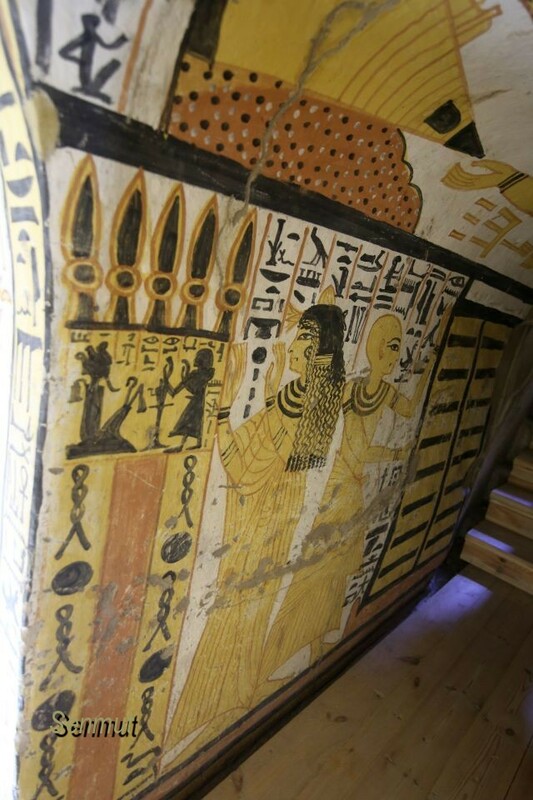 The tomb of NakhtAmen has been closed for many years and is cleaned and restored by the French mission. 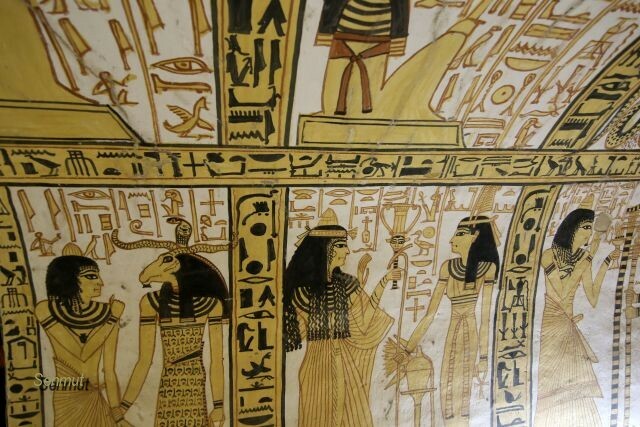 It is of very high quality and unique in its part, because its a monochrome tomb. 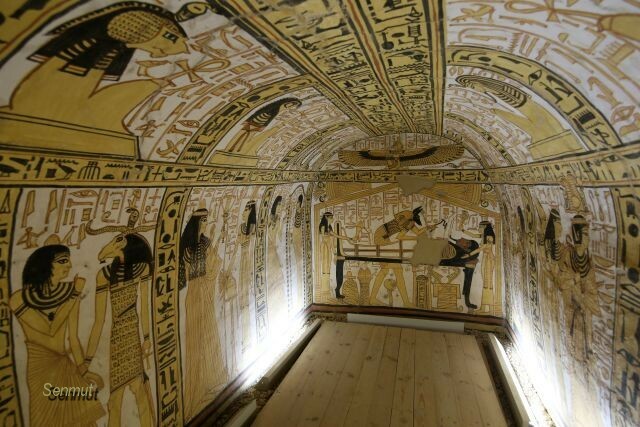 There are only a few tombs decorated this way. 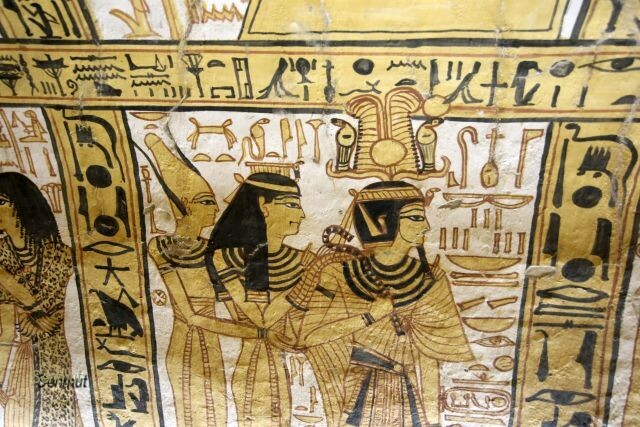 The type of tombs is recognizable by its two tone colors mainly yellow and black. 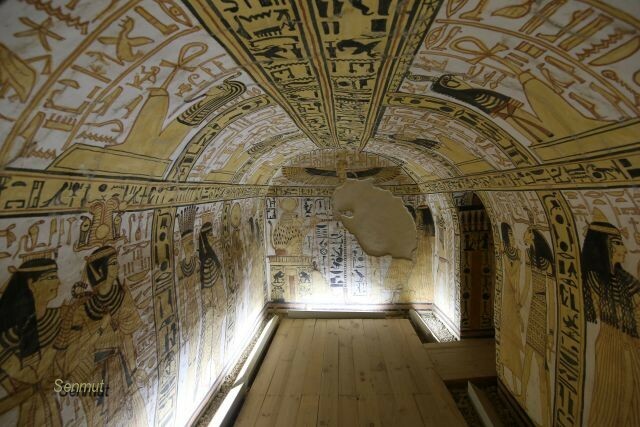 It is a very small tombs, but its one of the best I think. 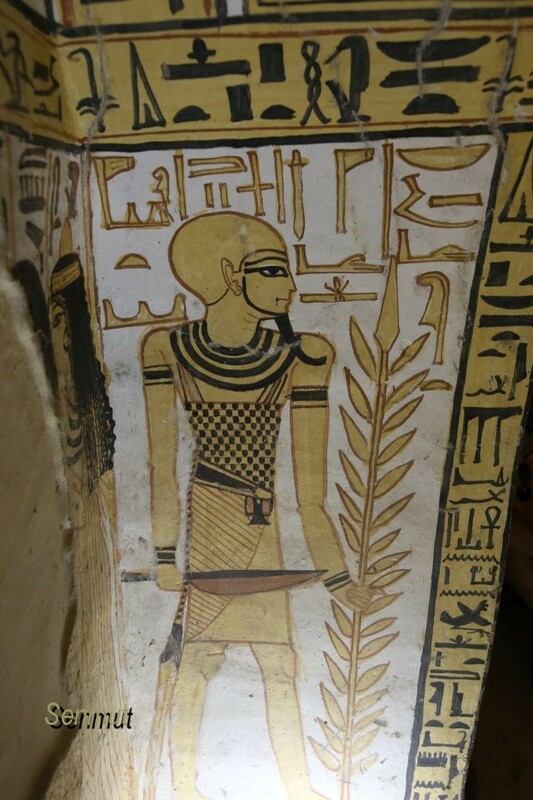 He was a Wap priest of Amenhetep I, Lord of the two Lands. 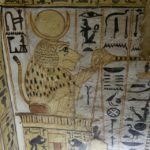 A chiseler of Amen, Servant in the Place of the Truth. 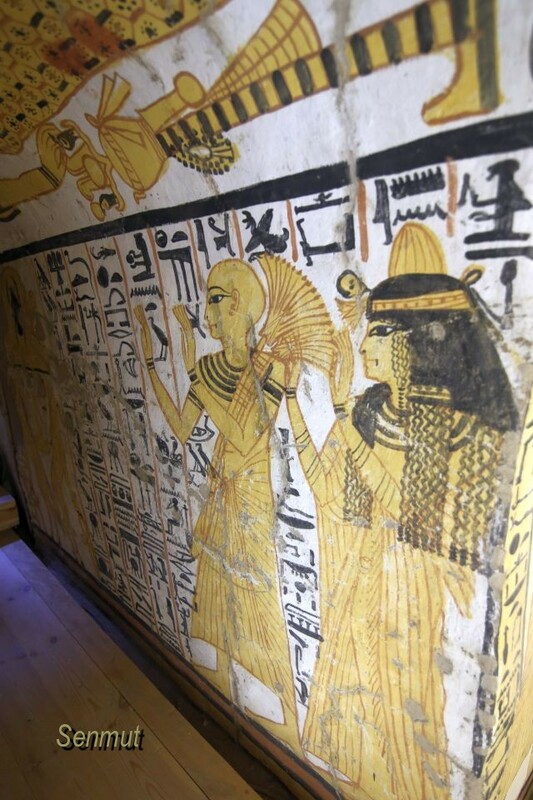 The tomb dates to the XIX Dyn. 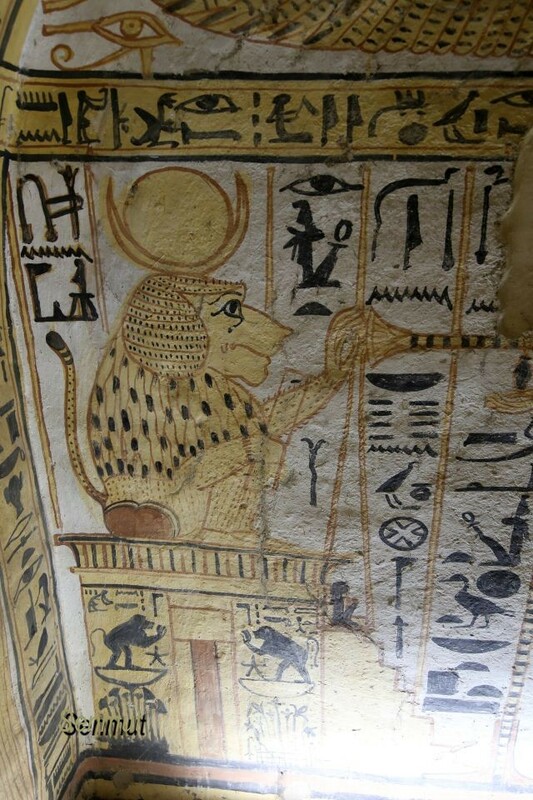 His parents were Piay and the lady Nefertkha. 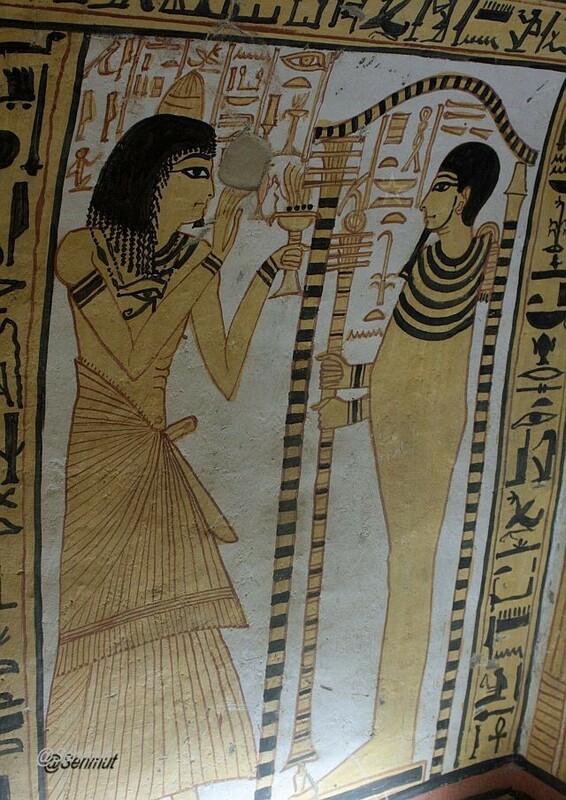 His wife is called Nubemsheset. 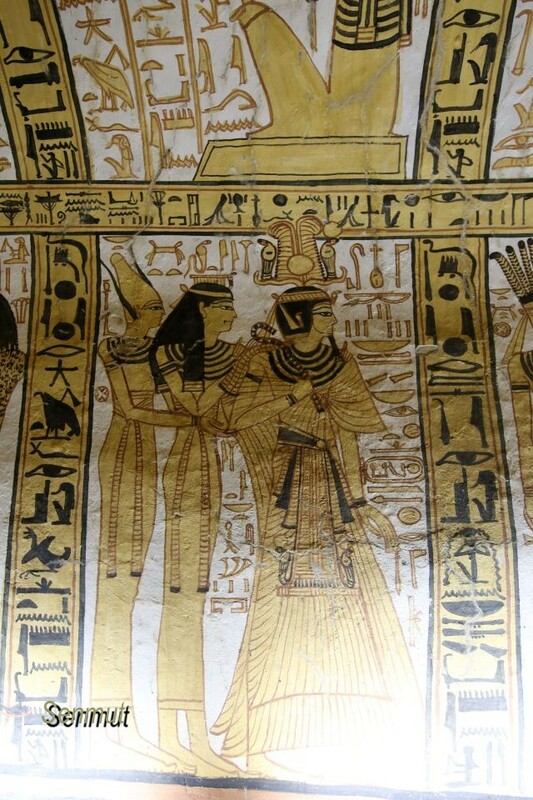 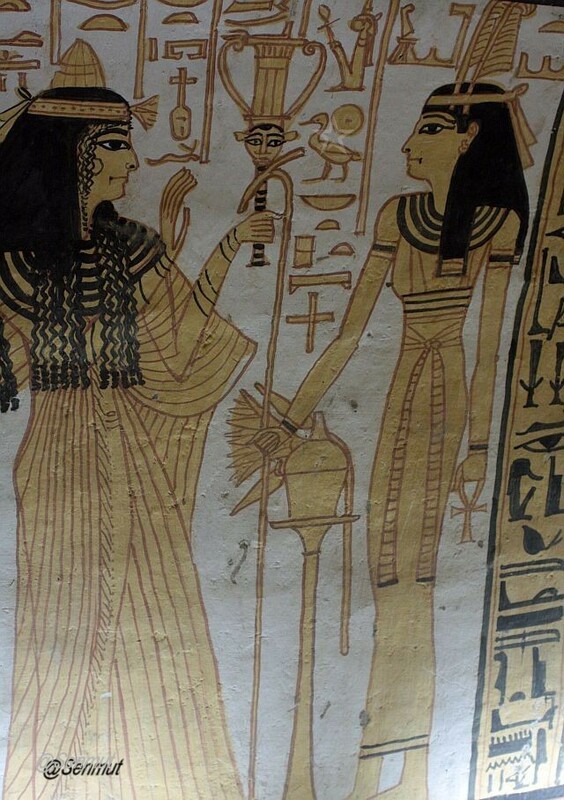 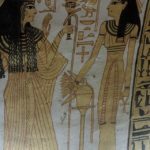 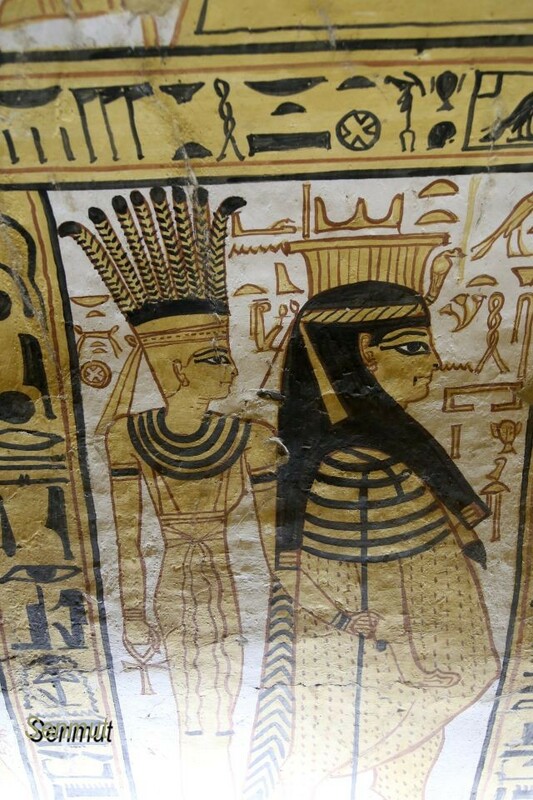 The tomb has beautiful images of really superb quality and can be noticed as one of the highest quality. 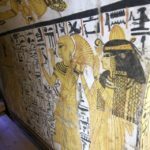 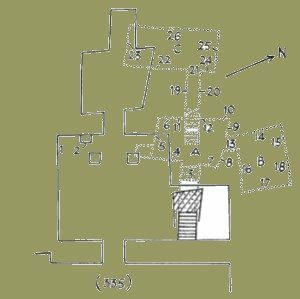 Seven tombs are open to the public presently: Senedjem, Pashedu, Inherkau, Amennakht, Nebenmaat, Khaemteri en NakhtAmen.